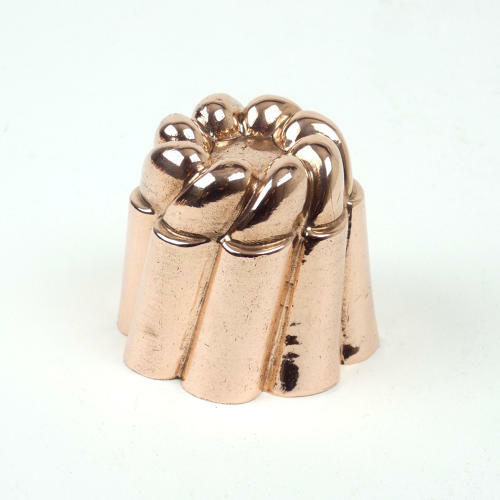 An unusual shaped, Victorian copper, miniature mould. Although you see many copper moulds of wrythen, fluted form this one is quite different in that the top section is also ridged. The mould is made from a heavy gauge of copper for it's size . It is English and it dates from c.1880. It is in excellent condition although the tinning, to the interior, is worn and scaley.